This practice stayed in the back of my mind. 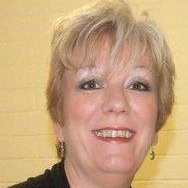 Then the inviteCHANGE monthly webinar for January was on Incorporating Gratitude. When I hear something more than once, it’s time to pay attention to the lesson. 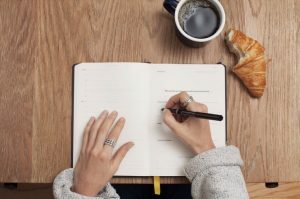 I’m pretty connected to gratitude as a daily practice, though it’s mostly in the form of gratitude journaling in my morning pages as well as noting the best parts of our day in a conversation that’s usually held during dinner time. But that can sometimes feel very routine. Fast forward to my work with a relationship client and I mention that it might be helpful to start a Gratitude Jar. But, I suggest they not wait till the end of the year to take a look at it. Several people in my life have begun this practice of capturing happy thoughts, memories, stories, etc. in a nearby jar. My daughter was gifted a Happy Memories jar by one of her co-workers. I immediately took advantage of her gift and stuck a note inside for her as well. She just takes one out when she feels like she needs or wants to read one the most. So when I began writing this blog post, I really intended it to focus on how gratitude can improve our relationships with others. But frankly, beyond that, it really changes our own relationship with self – with awareness of what’s going well, which in turn leads us to moving into patterns that help us do well. We can spend a lot of time complaining about what isn’t right or what doesn’t work. We can see examples of this in our own conversations with others, with social media conversations, in newspapers and on television. Statements of gratitude help us to see that the world is a good place. That good things really do happen. We then, in turn, learn to see the good things more often, or at least AS often, as the not so good things. Is it time for you to start a practice of self or relationship gratitude? Or if you already have a practice, is it time to add another component to it? 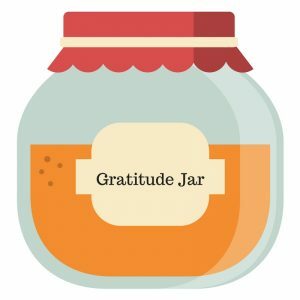 I’m looking for a pretty jar that can contain all the gratitude and happiness I can find. I’ll let you know when I find the perfect jar. But for now, I can start writing my gratitude on a tiny slip of paper right now.